UCHRC’s 2019 Unity Award Nominations Are OPEN! Nominations must be submitted by December 26, 2018. 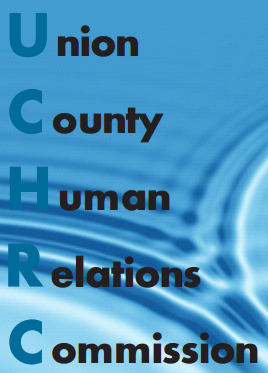 The Union County Human Relations Commission (UCHRC) was created by the Union County Prosecutor’s Office in 1991. The Commission serves to promote and encourage a more peaceful and ecumenical society in Union County, by providing support to bias crime victims who are targets of a crime because of their race, creed, color, religion, ethnicity, age, gender, sexual orientation, sexual identity/expression, socio-economic status, or physical or mental challenges, and by intervening to eradicate the conditions that ultimately cause them. The UCHRC addresses the issues of prejudice, bias and racism and their impact on our local schools, workplaces and neighborhoods. Our mission, and the focus of our efforts and activities, is to actively encourage, develop, promote and strengthen respect for human rights and cultural diversity among the people of Union County. Simply stated, the UCHRC celebrates the richness of life that cultural diversity brings to our communities and ourselves. The Commission consists of a group of Union County residents from diverse personal and professional backgrounds who volunteer their time to serve. For the past two decades, the Union County Human Relations Commission has continued to earn our statewide reputation of being a Commission that is progressive, interested and involved. Being a group of like-minded volunteers, we are constrained by the resources and time available among us. Despite our sparse resources, we continue to use our leverage to gain the broadest exposure and impact. Meetings are held every other month on Monday evening at the John H. Stamler Police Academy in Scotch Plains. UCHRC Sub-Committees meet as needed to address and implement specific projects. 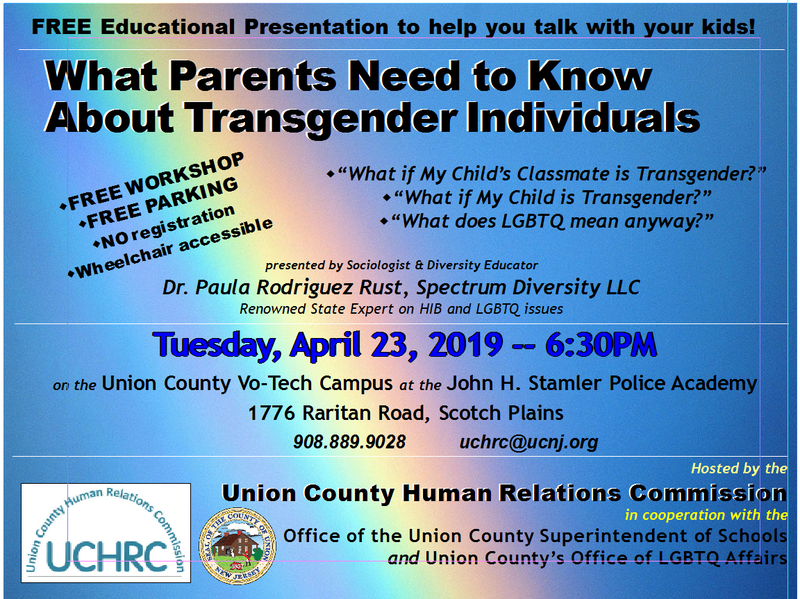 For more information, please contact Commissioner/Recording Secretary Karen E. Positan by email at kpositan@ucnj.org, or by phone at 908.889.9028. Nominations for the 2019Awards are being accepted now, and they must be received no later than Wednesday, December 27, 2018. The Union County Human Relations Commission would like to express its appreciation to Sergeant Leonard Guarino / Elizabeth Police Department (ret. ), who served as the Commission’s Co-Chair from 2014 to 2016, and thank him for his invaluable contributions and leadership, and his dedication to the Commission’s mission, programs, and activities.